Mark and Allison, July 2008. Its your wedding, have it the way you want it! At Party Masters, we understand how important it is make sure you special day goes off without a hitch and exactly as you dreamed it. 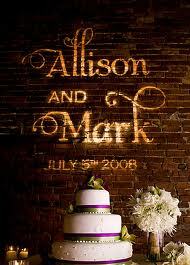 We have years of experience planning and coordinating memorable and fun weddings. Our goal is make you both have fun and relax! We don’t just play music; we are wedding experts. From our first phone call to your last dance our professional DJs will work with you to plan the perfect night. We will even meet with you face to face over coffee, lunch dinner, or even drinks — you pick, our treat! Not in Charlottesville? We’ve planned entire weddings over the phone and Skype. Take a look at our DJs and our expertly-crafted wedding packages. Pick what fits you best — you can always add and customize your desired services! Our services are stellar, but don’t just take our word for it: checkout the comments on Wedding Wire! Party Masters went ABOVE AND BEYOND to give us EXACTLY what we wanted. I gave him a specific playlist and told him the general “vibe” we wanted to create and he delivered to a “T”. Our reception was so much fun … [our DJ] was extremely easy to communicate with and met with us multiple times face-to-face to make sure we were all on the same page. He even drove an hour to our event space in the early morning the day before our wedding in order to talk to me, make sure he understood the requirements of the space, and to wrap up last minute details because he wanted it to be perfect. We’re the best in town with years of experience and we want to make your wedding a truly special and fun event. We design our packages to fit all needs and budgets. Big or small, formal or casual we can accommodate anything. To put your mind at ease, we’ve answered some Frequently Asked Questions about our approach to throwing the best wedding around.